We wish you a Happy Easter around family, friends and us! 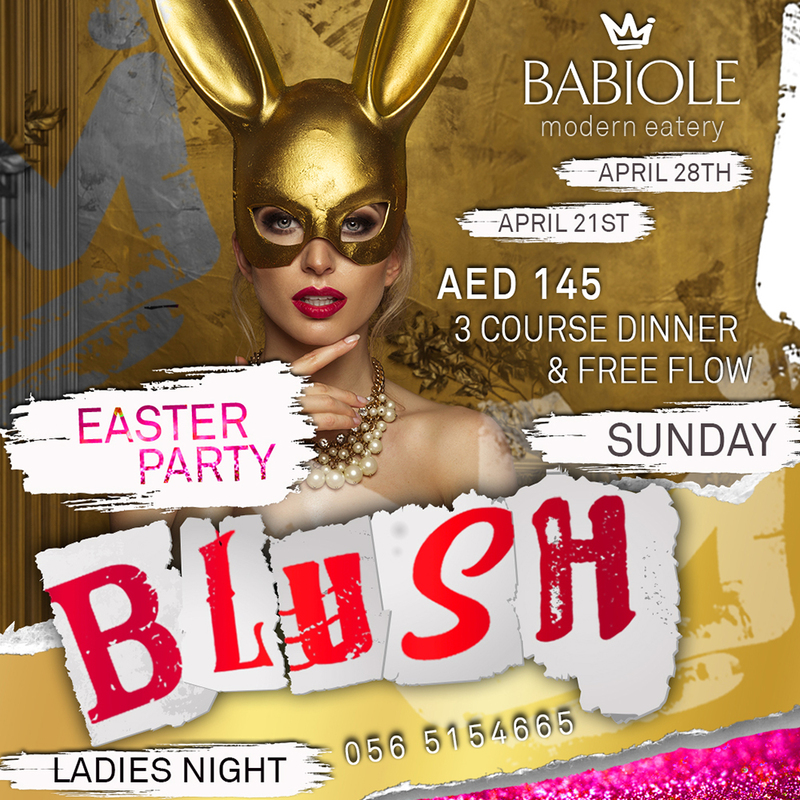 Enjoy Babiole’s 4-course feast with delicious Easter specialties crafted by our Chef. 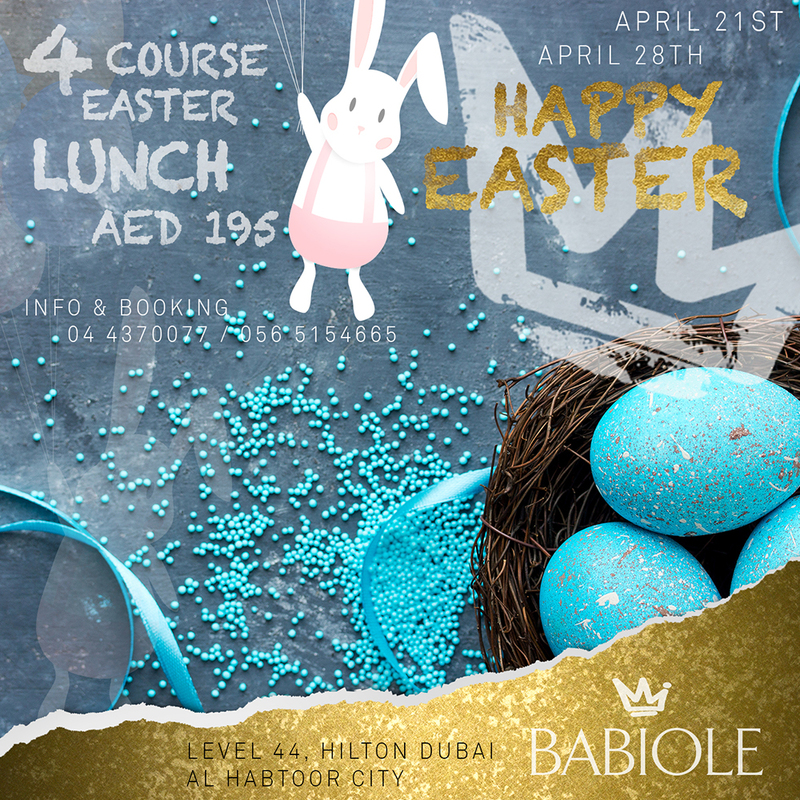 Babiole Easter Lunch will be served at your table from 12 PM onward and guests are welcome to chose between indoor or outdoor seating on our beautiful covered terrace. Free flow with selected beverages included. on Sunday April 28th for a Easter Dinner Party like no other. From 7 PM until late in the night + 50% discount on additional orders. Overwhelm your senses with breathtaking views of the city while witnessing unforgettable picture-perfect Dubai sunsets as they merge with the seas! Eat, cheer, dance! Exciting weekends don’t begin with a cup of tea, ladies! Rock your Thursday night with an unbeatable treat & join BABIOLE’s glamorous #DinnerParty from 7PM onward! Dine with astonishing Dubai views while our DJ sets the mood! 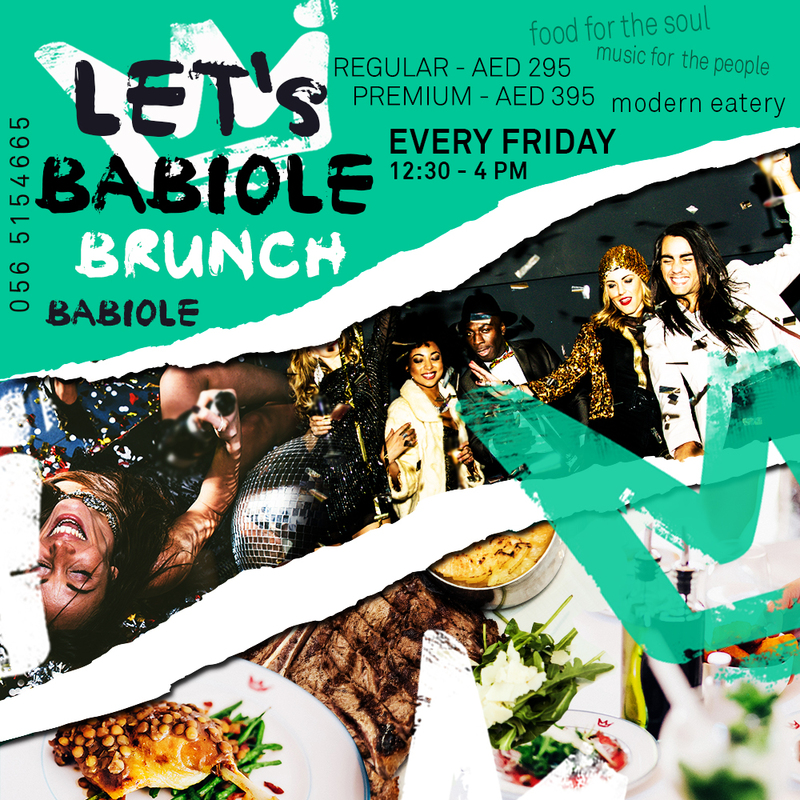 Party Brunch at its best every Friday from 12:30 to 4PM with a fantastic atmosphere! 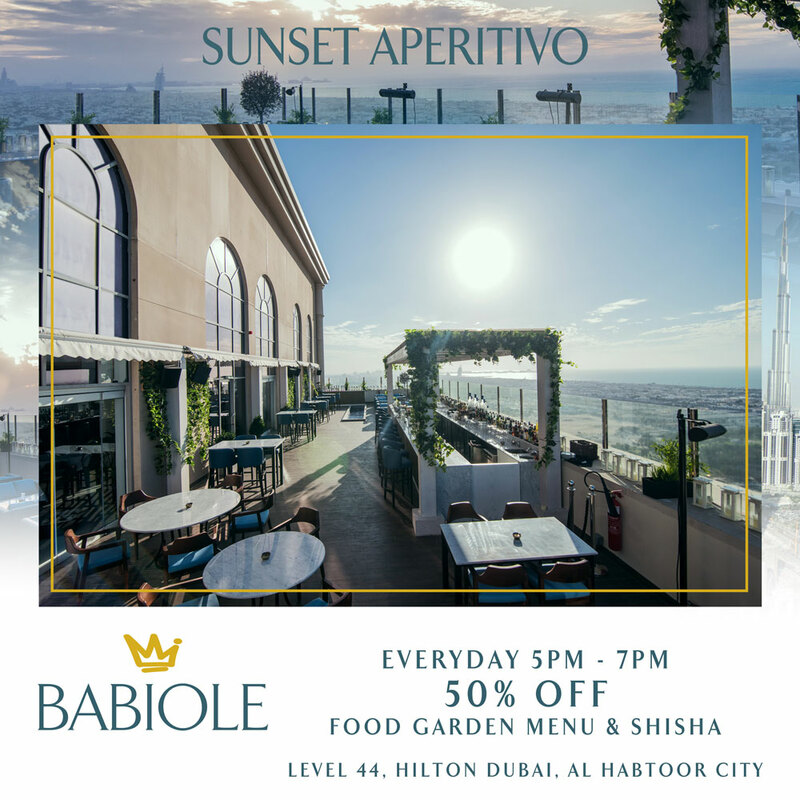 Indulge in BABIOLE's most sought after dishes whilst everything is served at your table. We promise not to judge dancing on the tables, loud singing and bursts of happiness as our DJ is prepared to set up the mood for misbehaving. “It can be tricky to find a brunch that matches food with vibe, but Babiole gets a big tick in both boxes." Located the rooftop of Hilton Dubai in Al Habtoor City.